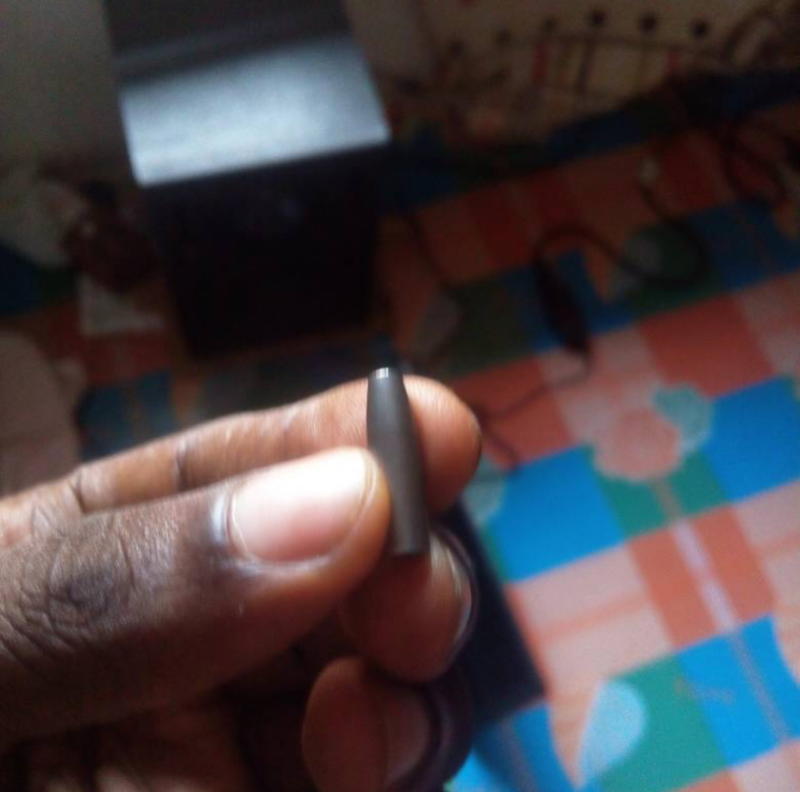 Along Ifon L.g.a in ondo state around 2:00 pm on the 25th of April 2018. 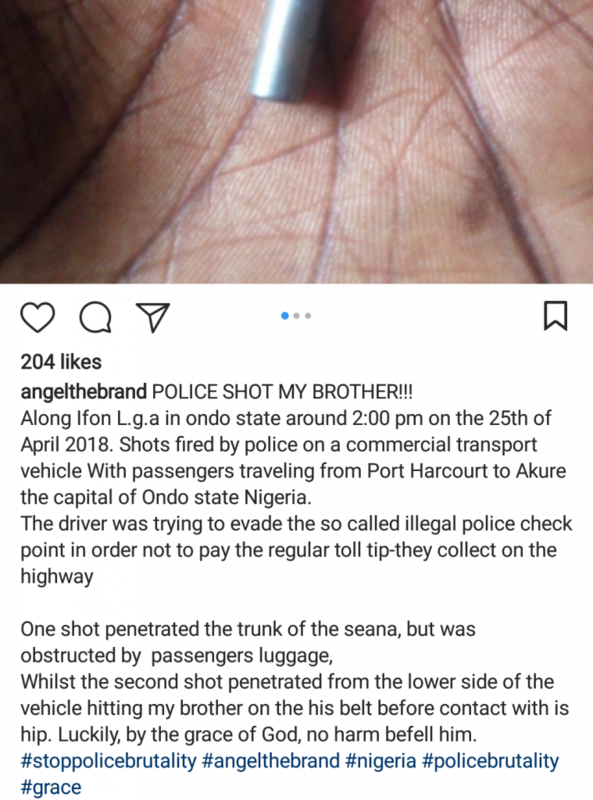 Shots fired by police on a commercial transport vehicle With passengers traveling from Port Harcourt to Akure the capital of Ondo state Nigeria. 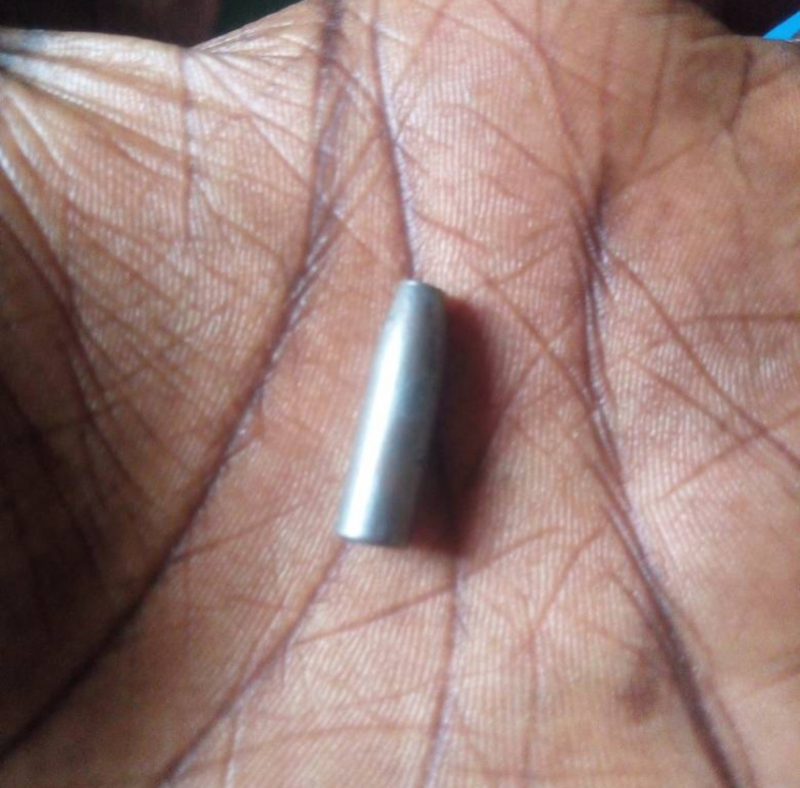 Whilst the second shot penetrated from the lower side of the vehicle hitting my brother on the his belt before contact with is hip. Luckily, by the grace of God, no harm befell him. 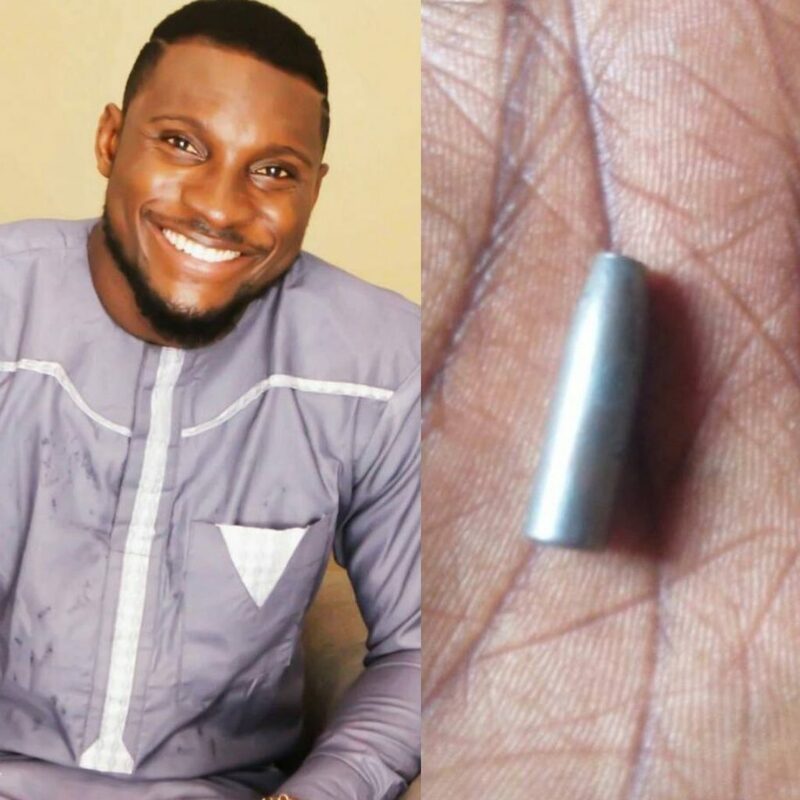 0 Response to "Police Shoots Brother Of Ex- BBNaija Housemate Angel"